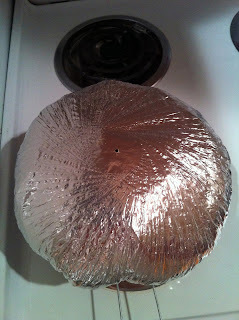 i scream for sunshine: jiffy pop! 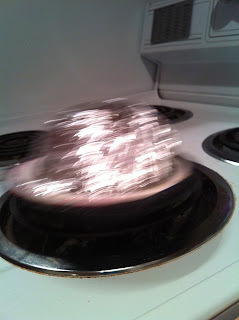 as some of you may know, i have a weird obsession with strange, creepy, and nontraditional foods. whenever i see weird fruit, i just have to buy it; i can't help myself. i've bought some weird stuff over the years: grasshoppers, tamarindo, ugli fruit, lotus root, and kiwano & buddha's hand, to name a few. 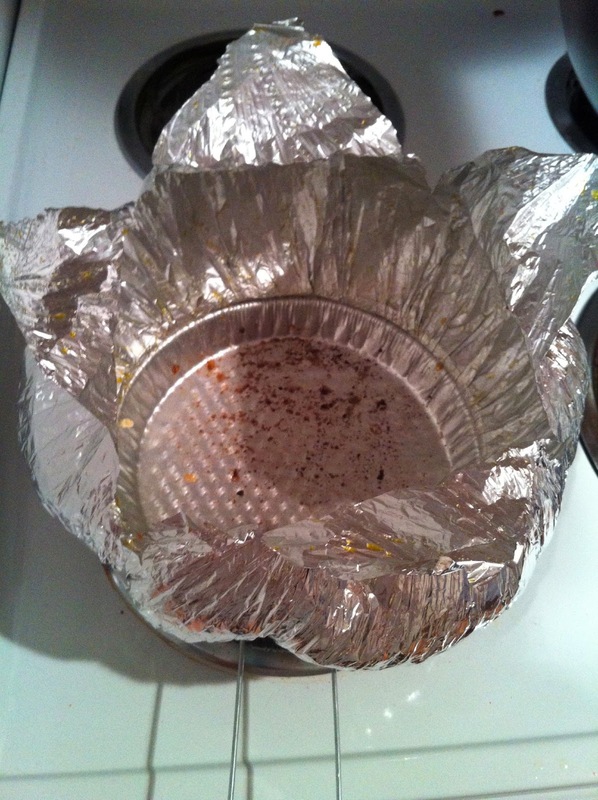 and then last thanksgiving rcg and i tried baby food. 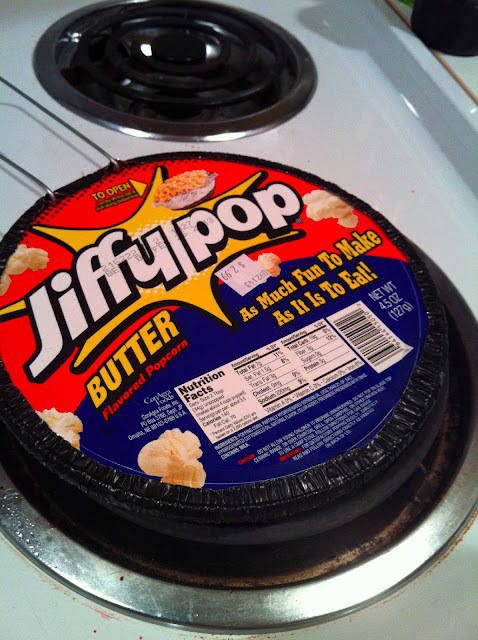 so by comparison jiffy pop isn't that weird. much weirder was the can of elk au jus (for $10) we didn't purchase. but it's one of those things you always hear about when people talk about "the good old days". so i had to give it a shot. 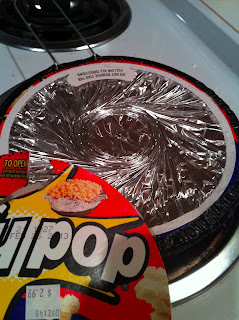 and it was, in fact, a jiffy to pop! 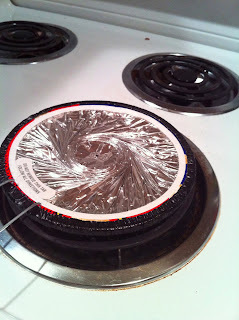 the instructions are simple and on the back of the lid -- take off the lid, very carefully. 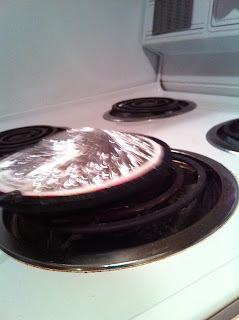 set the stove top should be set to medium (if on an electric stove, preheat the burner for 3-4 minutes). 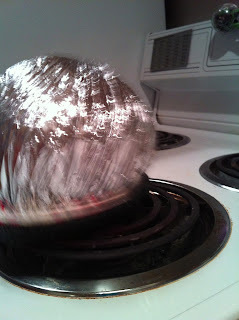 put the jiffy pop on the burner, and once it starts sizzling, move the jiffy pop back and forth until no more kernels pop. 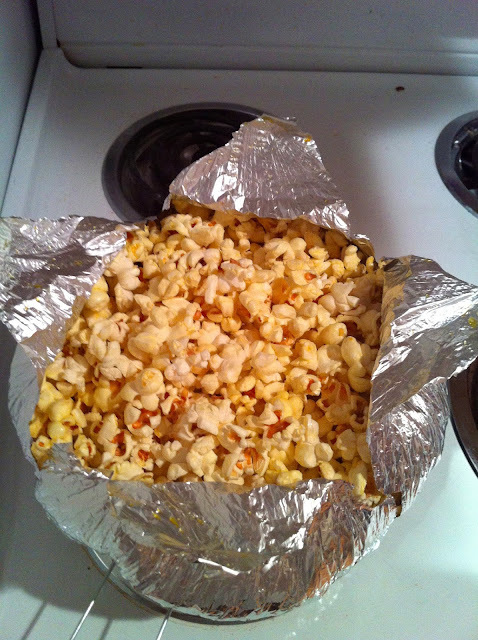 remove from the heat and open the bag with a fork; be careful of the steam. another eat yourself tucson weekend! 2013 -- week 2 -- tucson, why are you so cold?